In the wake of omnichannel demands, the goal of any eCommerce company is to optimize their end-to-end supply chain processes. However, it could be argued that the order fulfillment stage is the most critical aspect of any supply chain, given current consumer demands. With Amazon pushing the boundaries of fulfillment with two-day (and even same-day) deliveries, eCommerce companies are forced to adapt to rising customer expectations. The need to adapt to omnichannel pressures isn’t a secret — but that doesn’t mean eCommerce businesses are executing. As B2B and B2C supply chain execution requirements converge, there are 5 steps you can take to rethink your processes and close the loop between planning and execution. The need to segment supply chains based on customer profile data has been apparent for years. While customer fulfillment optimization Leaders show 77% adoption for this capability, Followers are almost half as likely to segment their supply chains. Assess Upstream and Downstream Demand-Fulfillment Models: Timely alerts along the supply chain (from customers and suppliers) make it easier to react to service-level issues and disruptions in supply, giving you an opportunity to maintain strict fulfillment requirements. When implementing initiatives such as direct-to-consumer shipping, it’s important to leverage big data to understand even the smallest changes in volume. Look at both upstream and downstream fulfillment models to improve visibility and communication wherever possible. Consider the Demand-Side Requirements Upfront: Modeling all potential fulfillment options in an omni-channel eCommerce business can be difficult. Supporting all segments and order types means incorporating everything into one model, when possible, while including efficient connections with external points in the supply chain. 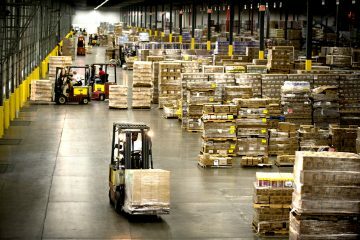 Reengineer and Streamline B2B and B2C Fulfillment Processes: B2B companies are challenged to manage a variety of order types, such as drop shipping, replenishment, etc. Rather than having strict supply-chain processes in place, it’s important to support a dynamic network and manage orders in relation to customer demands. Link Demand and Fulfillment Processes with Integrated Systems: Fulfillment execution must be integrated so that B2B and B2C orders are orchestrated, eliminating conflict in the process. In-house operations to package orders must be designed with transportation in mind to ensure the variety of customer demands are met with effective omni-channel models. Embark on a Journey of Continuous Improvement: The days when batching and paper-based modeling were sufficient to standardize fulfillment are gone. You have to be able to constantly adapt to new customer demands and their rising expectations. If you plan for continuous improvement from the outset, it will be easier to remain dynamic moving forward. Executing these steps is further complicated by the need to link financial costs and logistics activities together. If you want to enable proper allocations to products, customers, and channels, you have to be willing to change your fulfillment processes.